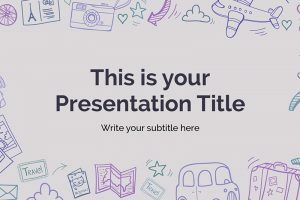 The 25+ Free Travel PowerPoint Templates consist of a variety of templates to suit all your travel needs. Within this category, there are vast array of subjects to choose from in each template. The Free Travel PowerPoint Templates consist of unique images, vector graphics, graphs and charts to help make your presentation come alive. These templates have different components ranging from plane flights, hiking, camping and more. All the templates can be downloaded in PPT file format to be easily used with Microsoft PowerPoint and Google Slides. As well as all templates can be customized with various colors and images.